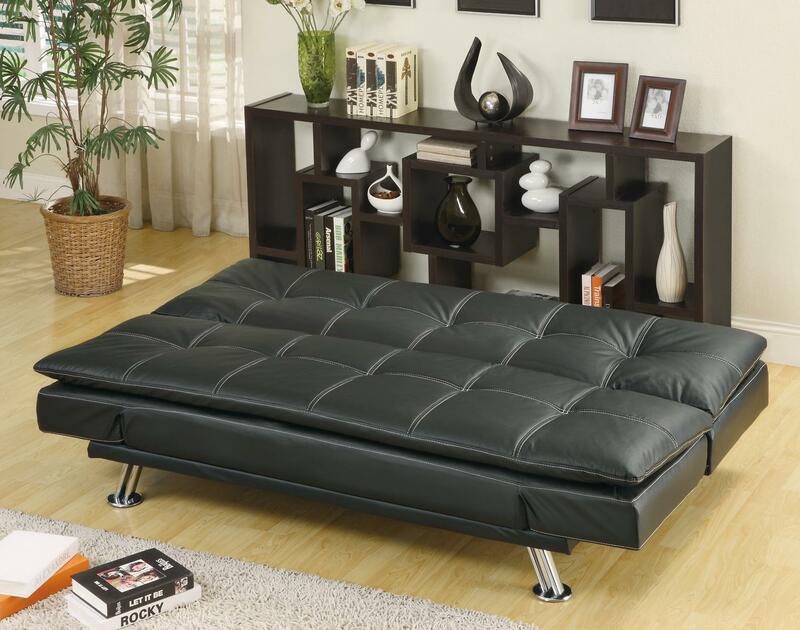 Bring a fun and inviting aura into your home with this contemporary styled futon sleeper sofa. Designed to be a sofa as well as a bed, this living room furniture piece features smooth upholstery with a plush pillow-top seating comfort. Chrome finished legs add a decorative design element that gives this sofa a unique modern look. When it comes time to accommodate sleep-over guests, merely fold down the seat back and curved seat arms to create a bed with a soft sofa comfort. 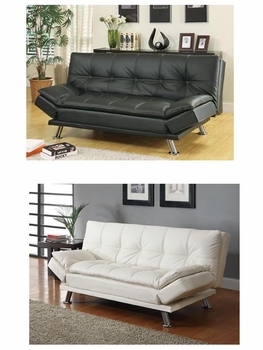 A comfortable, casual and contemporary piece, this sofa suits living rooms, family rooms, apartments and even dorms. Coordinating chaise and ottoman may also be available. This modern futon Sofa bed by Coaster model 300281 is available in the area from Coaster by Gala futons and furniture.